This neuroanatomy text is specifically tailored to the needs of students in Communication Sciences and Disorders. It includes foundational knowledge of general neuroanatomy with a focus on neuroanatomy that is relevant to speech language pathology and audiology. 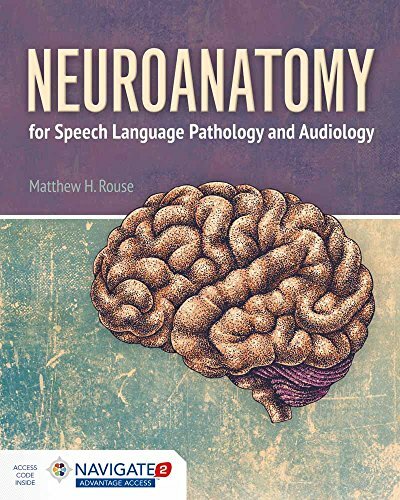 This accessible text introduces students to neuroanatomy with excellent organization of important topics such as, key information on the neurology of: language, speech, hearing, swallowing, cognition, and emotion. The chapter on emotion will be especially relevant to those working with clients with autism spectrum disorders. Neuroanatomy for Speech Language Pathology and Audiology will help students meet ASHA's Knowledge and Skills Acquisition learning outcome IIIB, which states: 'Student will demonstrate knowledge of basic human communication and swallowing processes, including their biological, neurological, acoustical, cultural, and developmental bases." If you have any questions about this product by Jones & Bartlett Learning, contact us by completing and submitting the form below. If you are looking for a specif part number, please include it with your message.